One of the most significant bridges in Europe, the Charles Bridge is a elegant stone Gothic bridge that connects Old Town with Lesser Town. A stroll across the bridge, above the Vltava River, is one of the top activities in Prague. A cruise along the river is a great way to enjoy it as well. The view from the bridge is magnificent, especially at sunrise. There are several artists and food vendors who show up every day on the bridge. The Old Town in Prague dates back to the 13th century and has served as the main marketplace for thousands of years. 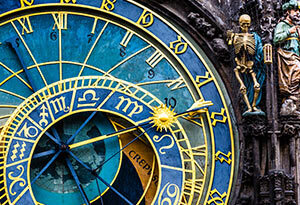 The city’s major landmarks are found in Old Town, including the world renowned Astronomical Clock on the south wall of the Gothic Old Town Hall. The entire world is fascinated by this innovative creation; it has been flawlessly displayingnot only the date and time for centuries, but also the position of the sun, the phase of the moon, the astronomical cycles, and the festivals on the Christian calendar. It produces a massive bong every hour along with the bell at the top of the tower. The best way to experience the city is to simply start walking in a direction of choice! Don't forget your camera for the memorabilia! Wenceslas Square is among the 'must-visit' highlights whilst in Prague. It is located in the New Town district of the city and houses the National Museum. This grand square was created in the 14th century during the reign of Charles IV as a horse market and over the years, has been rolled out as one of the city’s most iconic and important public spaces. Various celebrations take place in the area to this day. There is a variety of restaurants to experience the fabulous Czech cuisine, along with shopping options available here. Prague abodes a plethora of ancient buildings that are amongst the most celebrated architectural achievements in Europe and the world. The city wasn’t largely affected by World War II, in terms of destruction, and which is why the city’s medieval core is largely intact. 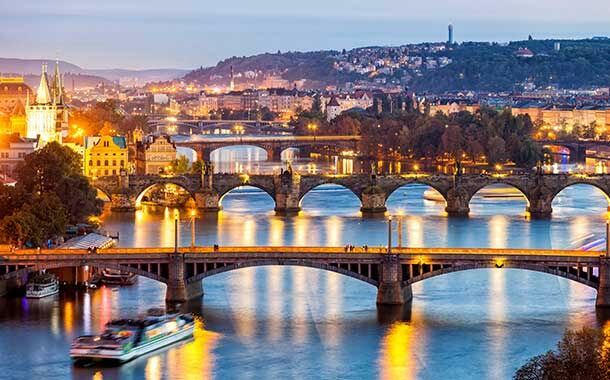 Brimming with buildings that represent 9 centuries of the city’s history, Prague’s beautiful architecture is reason enough to head to this exotic destination and be lost for words. The architecture in Prague is an intriguing melting pot of styles from Romanesque and Gothic to Baroque and Art Nouveau. 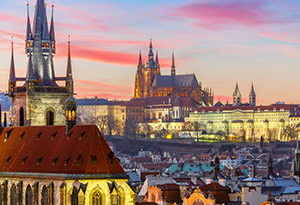 Dating back to the 9th century, the monumental Prague Castle is the largest ancient castle in the world and is Prague’s most sought-after attraction. It spreads over an area of about 570 m in length and 128 m wide (larger than seven huge football fields combined). The view of the castle, on the left side of the beautiful Vltava River, is not to be missed. This setting is perfect for artists and photographers. The majestic structure has been the inspiration for many a fairy tales, movies, works of art, and TV shows. Within the fortress, there are various collections of historic buildings, museums, and galleries. Climb to Prague’s highest point and witness the unsurpassed beauty of the breathtaking panoramic view.